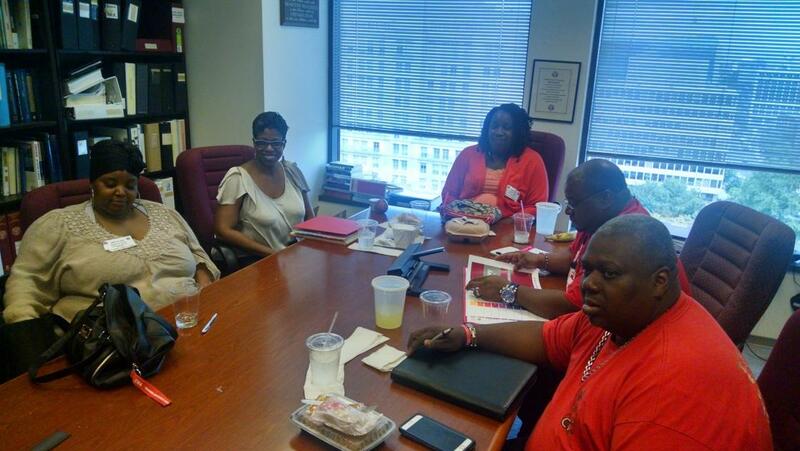 The Bargaining Committee worked late into the night preparing and presenting our health care and economic proposals. The ball is in the company‘s court and now awaiting their response. The company appeared to be offended by our proposals which were focused on lifting us up to a living wage and affordable health, vision and dental benefits. Also the Union rejected the company’s regressive proposal on Pension. We can only achieve our goal with your support. Please send Mobilization activities to Ruth Marriott at rmarriott@cwa-union.org. Show AT&T that we are all in this together!